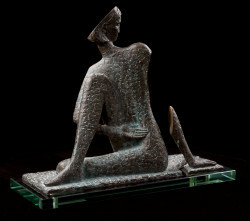 This artwork refers to a traditional object of sculpture - the human form, and represents the author's extremely free interpretation of understanding the flexibility of the body, whereby a simplification of body language uses shifts of forms and touches upon sculptural fragments which have been transferred to a contemporary understanding of shaping. 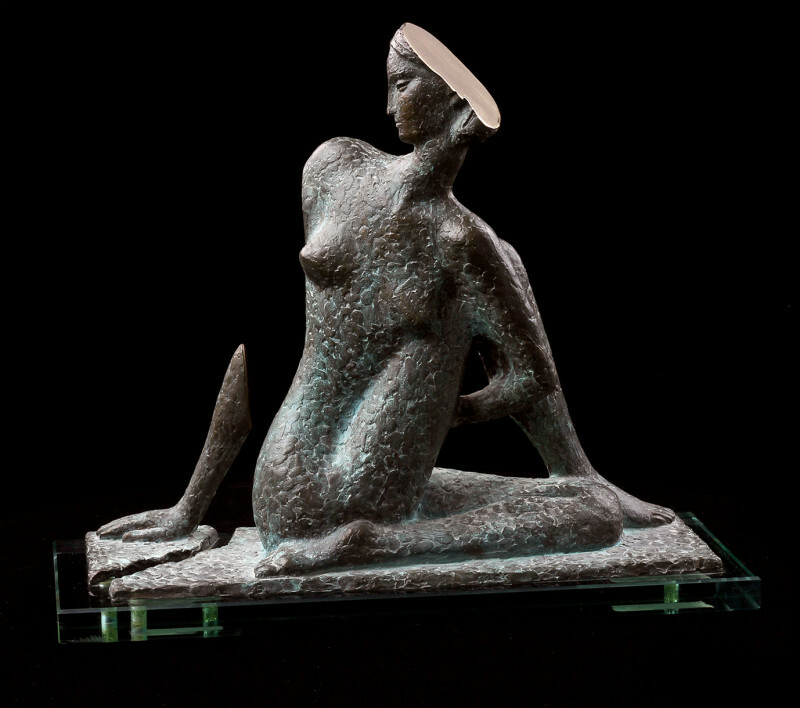 Fragmentation has been used in the composition, where shapes appear and then disappear, this provides space for one’s imagination and emphasizes the importance of perception, not only the volume but also the extracted pieces (space is limited by sculptural dimensions) to understand the image. This piece will certainly attract those who appreciate the artistic qualities and are interested in modern sculptural discoveries.